14 years after Britney Spears wore her now infamous Catholic school girl uniform in her "... Baby One More Time" video, another member of the Spears clan is copying her look: Britney's niece Maddie. Jamie Lynn Spears shared an adorable shot of her 4-year-old daughter on Twitter earlier today, showing Maddie sporting pigtails, knee-high socks, tied-up cardigan and a plaid skirt. 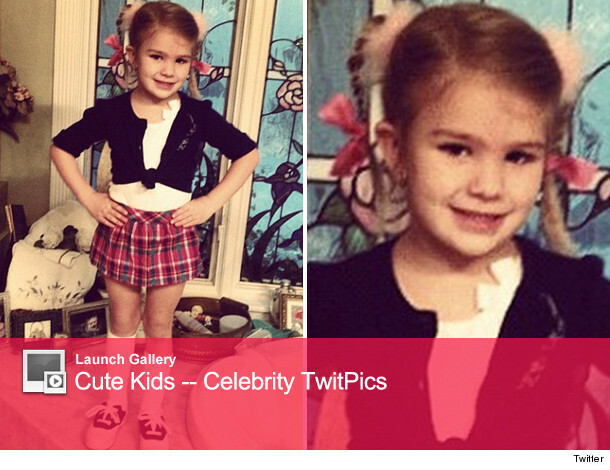 "Guess who Maddie want to for Celebrity Day at school," she posted along with the pic. Thankfully, Maddie's costume wasn't quite as revealing as Britney's ... which showed off her bare midriff. Check out more cute kids in the gallery above! Jamie Lynn Spears' New Song -- Dedicated to Britney?